Following his return to Australia in the early 1960s and buoyed by economic success, Tucker purchased his bush property around an hour out of Melbourne, which was to inspire a new direction in his artistic oeuvre. 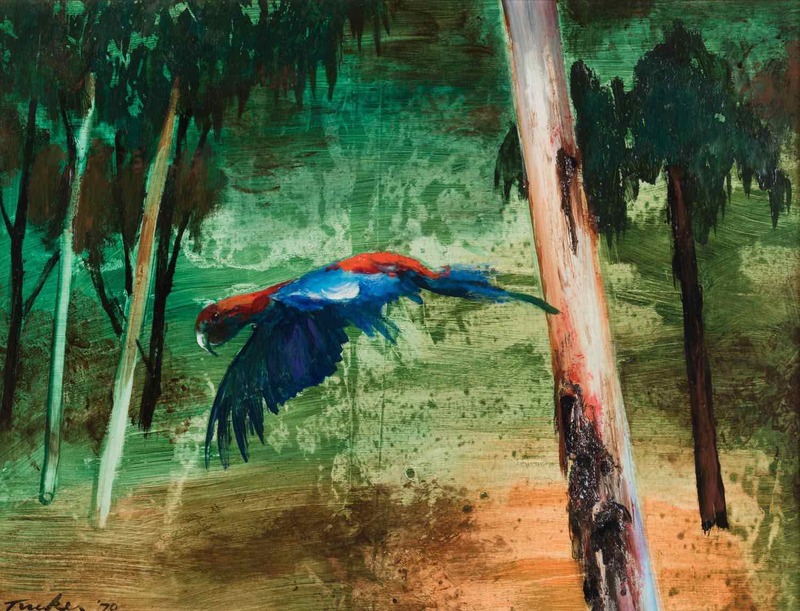 Tucker also brought to these paintings a new feeling of colour drawn from the brilliantly coloured King Parrots, that played, fought and nested in the branches within arm’s reach. The parrots were to become for Tucker, both an emblem of beauty and a symbol cruelty with their spanner beaks and chilling screech.